To speak or to show how you feel and love your country is a real challenge for those who lost their sense of patriotism. We cannot totally blame the government for this, yet they need to be challenged to provide some venues where they can instill in the mind of their citizens the beauty there is to be patriots of thy homeland. Malaysia, "Truly Asia!" their Tourism campaign slogan says. I'm not a Malaysian myself, but I am a social activist in some way who is constantly scouting and updating myself of current events of other countries and the likes. I heard this song today for the first time and I have no idea what they are saying in the song at first but it gives﻿ me a special lift, strength and sense of belonging ...and makes me envious of the proud culture Malaysia has to offer united as ONE...SATU MALAYSIA. From a point-of-view of a Filipino like me, I am envious of how their government is making some ways to promote patriotism to their citizens. I wish the Filipino government could also have some "active" and "sincere" venues where talented Filipinos can showcase their skills to others as a national pride and an embodiment of patriotism that would urge the natural flow of sensitivity and love for our country among our co-Filipinos wherever we are. The song was conceptualized by University President, Tan Sri Dr.Lim Kok Wing, and the lyrics composed within two weeks by a group of international students. Director of the Limkokwing Sound and Music Design, Anuar Razak paid tribute to the efforts by the students. This upbeat song was among the six compositions selected by the Information, Communications and Culture Ministry which organised a nation-wide competition to pick winning songs. There were 341 entries. 1Malaysia campaign is a part of the efforts by Malaysia Prime Minister, Dato’s Seri Najib Razak to create a sense of belonging and national unity among the country’s multi-racial, multi-religious people. Limkokwing University is acknowledged as the world’s leading Creativity University with a global presence in 12 campuses across three continents. The University has a combined student population of 30,000 from 144 different countries. 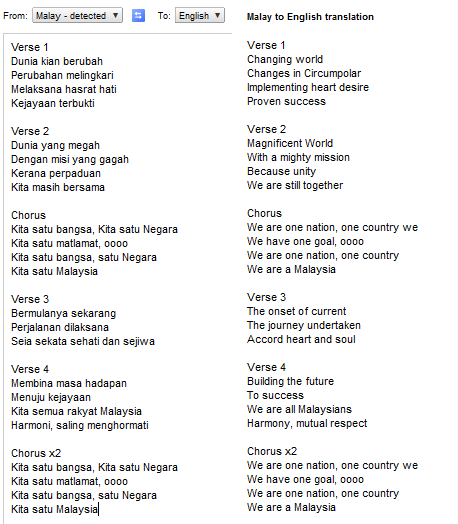 Listen to the song Satu Malaysia.